The ASPCA is sponsoring a three-month competition which challenges 49 shelters from 33 states and territories across the United States to increase lives saved in order to win some of the $300,000 in ASPCA prize grants, including a grand prize of $100,000. Shelters have one more month to save more animals for a chance to win much-needed funds. During the first weeks of the challeng, many shelters stayed open around the clock for 24-hour adoption events, offered unique promotions and discounts on adoption fees, and more. The shelter with the largest increase in animals saved will win a $100,000 grant. The agency that gets the most community members involved in saving animals will win a $25,000 grant, and those organizations that do the best in their regions will be eligible for between $5,000 and $25,000 in grants. To locate a 2011 ASPCA $100K Challenge contestant near you, check out challenge.aspcapro.org/challenge/contestants. Do you know of a shelter or rescue group that is participating in this challenge? Let us know and we’ll feature it on our blog. Tails Untold depends on your photographs to make our stories come alive. But getting good pictures of your pet is challenging, from getting them to stay still to getting the best light, it can be a frustrating task. And photos of our pets are so important, it’s one thing people always wish they had done more once their pets are no longer around. It’s important also to capture their stages when they are young and as they grow up. Who doesn’t wish for a few more images of their puppy at a few weeks old – or even a few months! Here are some photography tips from professional photographers that will help you get great pictures of your pet. We hope you share them with us when you place your order for a tailsuntold adventure book. Red eye gives Fido that evil or possessed look. A loss of definition may cause your finely groomed Kitty to look like a washed out ball of fur. Avoid using your camera’s flash. If you must use a flash, get an off-camera flash so it doesn’t reflect directly from your pet’s eyes. Use natural, outside light if possible. However, avoid direct sunlight. If photographing your pets outside is not possible, place your pet near a window with the light coming from the side. Rent indoor lighting equipment for the day. Avoid fluorescent or tungsten light that can distort your pet’s natural colors. While you’re probably taller than your pets, you don’t have to photograph them from your natural angle. Instead, take the picture from their level to get their perspective. Lie on the floor or put your pet on a higher surface to get a more original perspective. Use your camera’s zoom feature or a zoom lens to take close-up photos of your pet’s face. If your pet won’t sit still and you’ve given him ample time to calm down, have someone hold your pet in place. If you’re trying to snap a portrait, your can edit out the person’s arms and hands at a later time with computer software. Here are more tips on taking pictures of all kinds of pets. See you at the dog run! The urban dog is a civilized member of society, and likes to frequent sophisticated watering holes where he or she can run, tackle, and drool on her doggie peers. Fortunately, there are places where just this kind of behavior is encouraged, and we’ve put together this list of dog runs in Manhattan. If you know of any others, either official or unofficial, let us know. We’ll feature the boroughs and other dog friendly spots in the area in upcoming blogs. 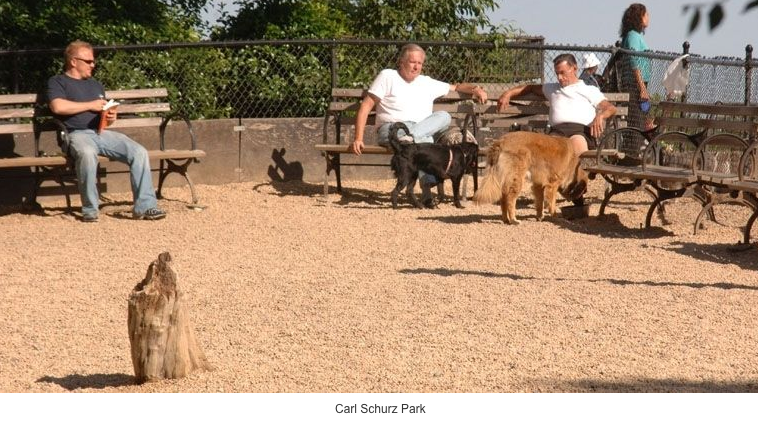 Notes: Please visit Central Park Conservancy’s Dogs in the Park page for park-specific rules and details on dog-friendly areas. Address: In the sunken circle area only (be tween Delancey and Houston Streets next to tennis courts). 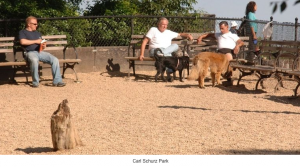 Notes: Because Inwood is designated a Forever Wild site, dogs are permitted off leash ONLY in the dog run AND at Dyckman Street & Hudson River (on the south end of the ballfields). Dogs must be on a leash (no more than six feet long) at all times, except in dog runs and designated off-leash areas at prescribed times. Dogs are never allowed in playgrounds, zoos, swimming pools/facilities, bathing areas/beaches*, fountains, ballfields, or on basketball/handball/tennis courts. *In the off-season, the Commissioner may use his discretion to permit dogs in bathing areas/beaches. A WOMAN was flying from Seattle to San Francisco .Unexpectedly, the plane was diverted to Sacramentoalong the way. The flight attendant explained thatthere would be a delay, and if the passengers wanted to get off the aircraft the plane would re-board in 50 minutes. Please help find homes for these pets by spreading the word. My friend Serena DeJesus www.facebook.com/serenalovespitbulls, seems to attract stray animals and their “owners” who cannot keep them. She does everything possible to find them homes. Right now she has a neighbor who is moving and cannot keep their pets. She is looking for a home for an adorable Black Chow Chow puppy and a 2 year old small, white male dog who is very well behaved and quite handsome. Serena will provide you with pictures. In addition, she has 4 black and white kitties who are tiny, sweet and need homes. Please spread the word. Thank you! Amazing “lost and found” story. Wow! Talk about a “TailsUntold” story. This is amazing. Sept. 14: Willow, a 6-year calico cat that went missing from her Colorado home during a renovation 5 years ago, sits in a cage at her temporary home in New York’s Animal Care and Control (ACC) facility. NEW YORK – A calico cat named Willow, who disappeared from a home near the Rocky Mountains five years ago, was found Wednesday on a Manhattan street and will soon be returned to a family in which two of the three kids and one of the two dogs may remember her. How she got to New York, nearly 1,800 miles away, and the kind of life she lived in the city are mysteries. Squires and her husband, Chris, were “shocked and astounded” when they got a call Wednesday from Animal Care & Control, which runs New York City’s animal rescue and shelter system. Willow had been found on East 20th Street by a man who took her to a shelter. ACC Executive Director Julie Bank said a scanner found the microchip that led to the Squires family. The Squireses also have a yellow Labrador named Roscoe, who knew Willow, and an English mastiff named Zoe. Squires said Willow escaped in late 2006 or early 2007 when contractors left a door open during a home renovation. Since then, the family had moved about 10 miles from Broomfield to Boulder, but it kept its address current with the microchip company. Bank recommended that all pet owners use microchips. She said Willow, who now weighs 7 pounds, is healthy and well-mannered and probably has not spent her life on the mean streets of Manhattan. But there are no clues about her trip east or anything else in the five years she’s been missing. Squires seemed a bit worried about a possible New York state of mind. The ACC and the Squireses were trying to arrange for transportation back to Colorado and health certificates and said it might be two weeks before the reunion. 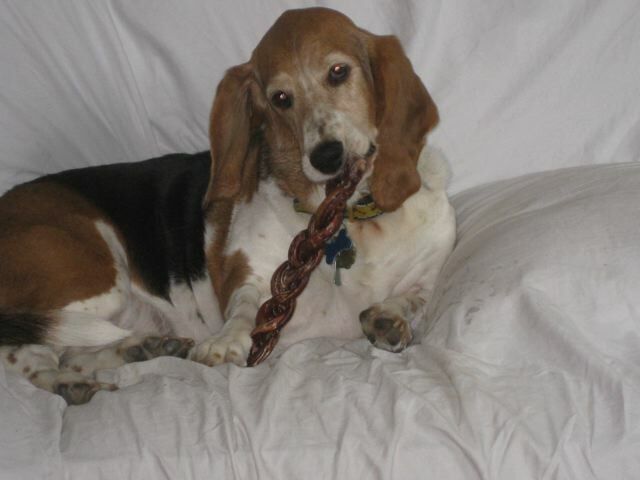 Willow may spend some time with a foster family in New York. “The kids can’t wait to see her,” Squires said. “And we still have her little Christmas stocking. One of the most fun things about bringing a pet into your family is choosing the name. There are some people who love the traditional – Spot, Fido and Rover, some who like the popular – Max and Bella and some the outrageous – Sir Broccolli? Ozzy Pawsborne? The last two come from a list of the wackiest pet names compiled by a pet insurance company, and it’s pretty funny to read. Another method of naming a pet is to come up with something based on the pet’s personality or appearance. Another friend likes to use names of his favorite Italian soccer players: Baggio and Dino are his cats. A tailsuntold favorite is Lucky – he’s the fourth Lucky his owner has had over the years – it’s perfect because it’s gender neutral and Lucky’s owner always feels a little luckier thanks to his dog. What are your favorite pet names? 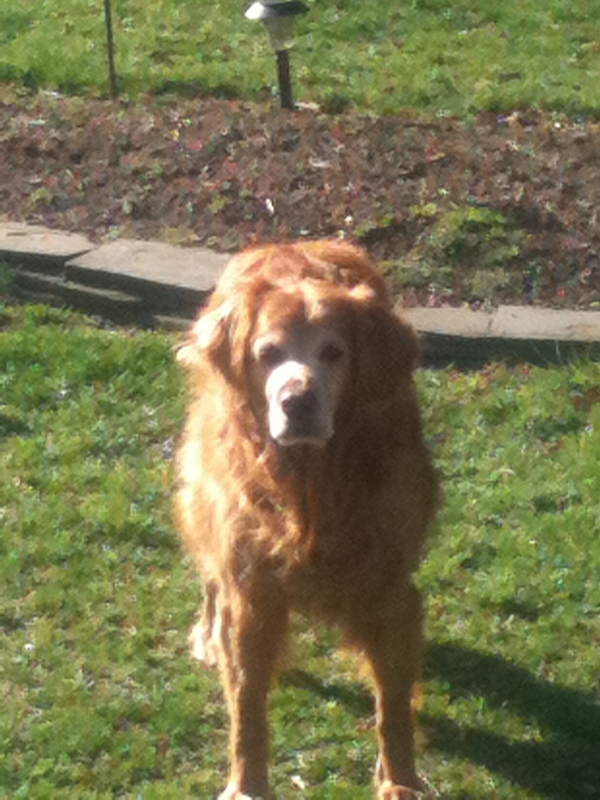 We would love to start a list and can post your pet’s picture and name on upcoming blogs. “Here are three “facts” you may believe about aging in dogs… and why they’re wrong. 1. One year in dog years is equal to 7 human years. This formula was developed as a simple way to gauge a dog’s stage of life. However, it is much too simple to accurately reflect a dog’s age. This formula is also misleading because it does not take into account the size or breed of the dog. Larger dogs tend to age quicker and have shorter life spans than smaller dogs. 2. It’s easy to tell when your dog is getting old. This statement goes hand in hand with the “fact” that sick dogs show that they’re sick. As with many animals, there is a large disadvantage to displaying symptoms of sickness or weakness in the wild. 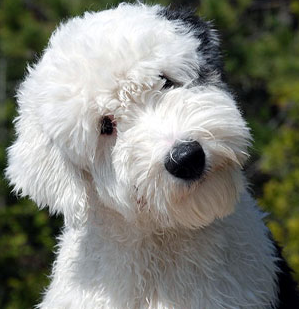 It is simply not advantageous for dogs to show that they’re sick. As a result, you don’t always realize that your dog is sick or getting old until they are at an advanced stage of the process. 3. Slowing down is a natural part of a dog’s aging process and there’s nothing I can do about it. Many dog owners assume that as their dogs age, they will experience mobility loss and difficulty getting up and moving around. And because they truly believe that their dogs are simply undergoing natural changes, they will also assume that they can’t do anything to help their dogs. Once again, this statement is false. Many times loss of mobility is a sign that your dog is experiencing age related problems like arthritis, and there are many things you can do to help. Now that you understand the truth behind these myths, you can do something with your knowledge. Your dog’s age in years is just a number. Many older dogs can continue to have an excellent quality of life, with some help from you. We are very excited to have our Tails Untold Blog up and running. We will bring you new ideas, information, and news about pets. We will also feature new pets regularly. Please visit often and we appreciate your comments. You can also email a photo of your pet to be featured. Don’t forget to visit www.tailsuntold.com to take your pet on its own adventure.